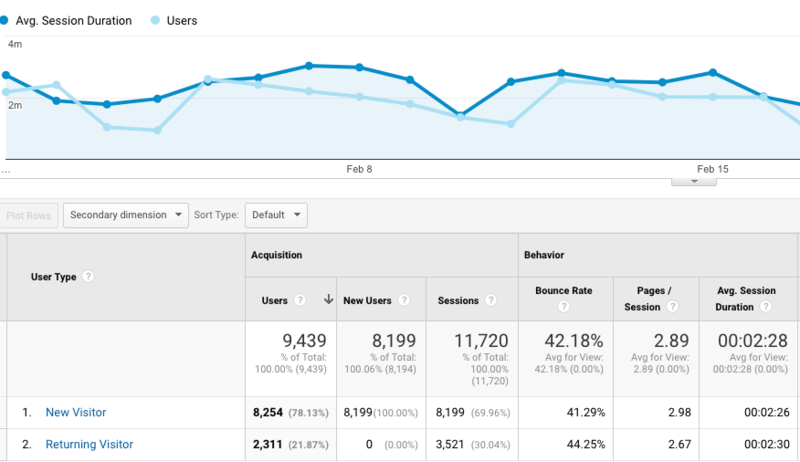 Over the years, Google Analytics has continued to evolve to shadow both changes in HOW people search for information online and on WHICH devices they’re searching. Google’s free tools have been instrumental in bringing the practice of data analytics to the center of organizations of all sizes, and prove their commitment to strengthening data-driven decision making. While Google’s tools are free, they are so extensive that we often hear people say they aren’t sure how to use them. Belgrave works to curate the reports and tie them to a company’s desired goals to provide an actionable and simple report. Google and Belgrave both strive to provide website owners with detailed information about the impact of their marketing activities across all channels, which has become increasingly difficult based on how people search and the diversity of devices people switch between seamlessly. Let’s take a minute to review the shift in human behavior mentioned above. HOW: 10 years ago, search behavior was relatively simplistic. People would type in "Restaurants Charlotte" and Google would churn out results. We now tend to search the way we talk (or use voice search), entering longer, more conversational queries into the search bar. Focusing only on single keywords means marketers are likely missing out on traffic. WHICH: People now own more devices – ranging from mobile phones to desktops – than ever before and interchange them at the drop of a, well, text message. For instance, I may open an email on my phone and click through to the website, but get distracted when a text message comes in. I then go about my day until remembering later that the sweater I’ve been eyeing has gone on sale. Rather than going back to search my phone for the email (which I’ve probably deleted) I go directly to the website on my laptop to complete the transaction. This disjointed path makes it difficult for marketers to track the conversion to a completed sale. Google has once again changed Analytics to capture data in this evolved search environment. The latest change (as of January 2018) focuses more directly on users, providing more insight into user-level behavior. This is a significant shift from the historical focus on sessions (i.e. site sessions, site visits) because an individual user could have multiple sessions on multiple devices within the same day. Belgrave will continue reporting site sessions in our Analytics Snapshot reports to provide month-over-month and year-over-year performance comparisons for our clients. However, we are now reporting traffic sources (direct traffic, organic, paid, social media, referrals) by number of site users, and will continue to evolve reporting as new and relevant options are developed by Google. In other words, we can translate the comprehensive data into easy-to-understand tables. For example, we will interpret the data provided by Google Analytics to decipher how your website key performance indicators (KPI’s) are reacting to marketing efforts. If KPI’s do not measure up against company benchmarks, we can shift strategies to maximize your digital investment. If you find that your team doesn’t currently have the bandwidth to leverage Google Analytics, talk to us about how we can help.